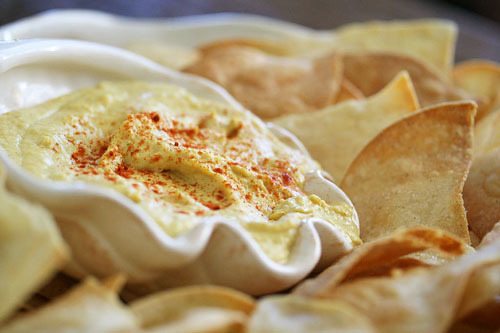 We’ve been on a hummus kick lately. I’m pretty sure, I’ll NEVER buy pre-made hummus again. Strain the garbanzo beans, rinse with water and add to the food processor. Chop and grind until the hummus is smooth. Serve right away or store in the fridge for up to 3 days.